Kay is by far the BEST realtor out there! She really knows her stuff, is extremely prompt, honest, never gives up, and makes you feel like family. All of the things you want and need when trying to find your new home. I have recommended her to everyone I come across who is looking for a home. Using Kammeyer Realty Group is the best decision you can make for such a huge decision. 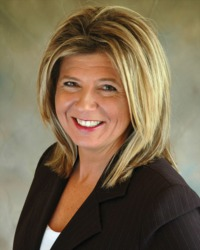 Kay Kammeyer was an active and friendly consultant throughout our entire house buying experience. From looking at properties, selecting the house to build, picking options, designing a patio, house inspections and house closing, Kay was always there and provided much valued input. We are coming from another state and have not sold our house yet. Kay is going out of her way to research and recommend the best realtor to work with in our city. This is all superior Customer Service!! I would strongly recommend your use the Kammeyer Realty Group. Kay has helped us sell houses in both a depressed market and in an incredibly aggressive seller's market. Her ability to understand the degree to which a home needs to be staged, the right price range, and the nuance of the buyer's financing's influence on the price of the house are amazing. Kay is knowledgeable and extremely trustworthy. Her work ethic is unmatched. She will sell or help you buy your house and you will have your realtor for life. Working with Kay and her team has made the overwhelming experience of home-buying fun, exciting, and stress free. Kay listened to what we were looking for and walked us through the entire process. Kay and her team have made themselves available from simple questions and late night texts to last minute showings. Kay told us that we’d be able to get into a house in 6-months and she did it in 4! Couldn’t ask for a better team to work with!! !